Toothpicks can be used for small appetizers, or removing anything that gets held up in your teeth, usually after a meal. What you use it is for is your call, but to hold these toothpicks you need a holder. Why have a simple toothpick holder when you can have a cute, clever and hilarious themed toothpick holder? 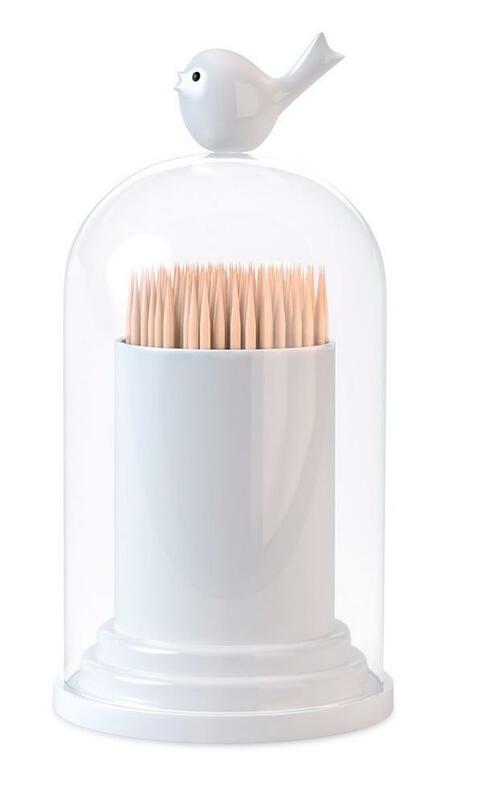 You would be surprised to know these simple toothpick holders can be conversation starters, don't believe us, just have a look. Hedgehog Toothpick Holder: This cute Hedgehog Toothpick Holder comfortably rests on your dining table holding toothpicks and waiting to impress your friends. Or given a chance, this little fella climbs and settles on the edge of the bowl to join your party. 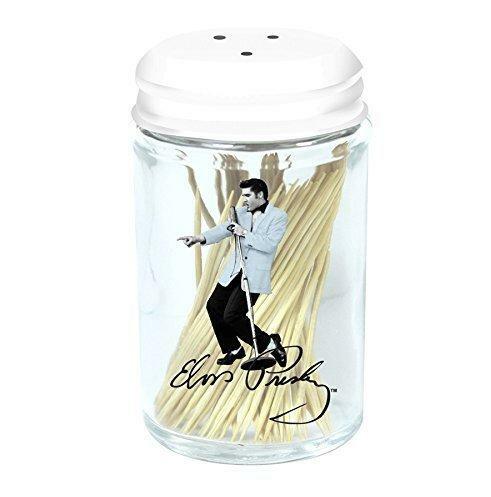 It comes with 22 toothpicks. Buy Now. Forest Toothpick Holder: This pine forest shaped holder works along with toothpicks and recreates a forest, sort of. 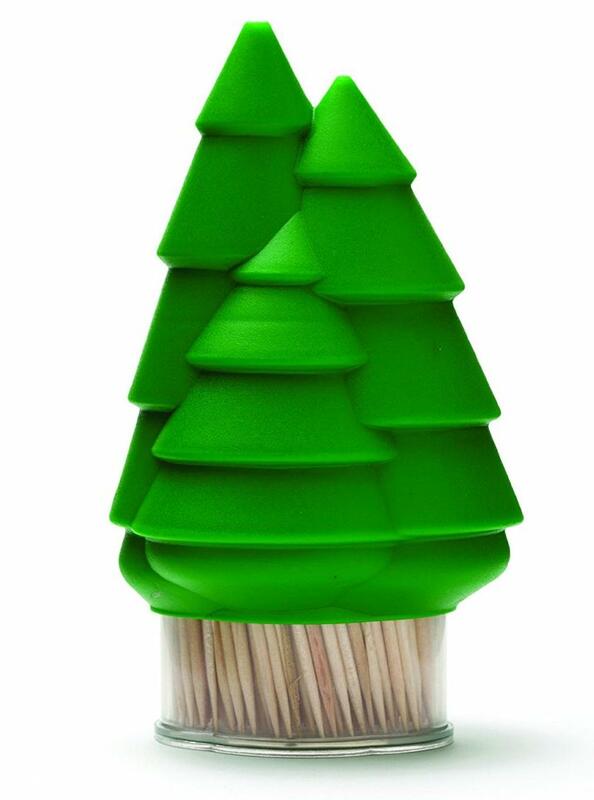 It stores your toothpicks in its transparent box, creating a group of pine trees. Its tallest tree features a hole from where you can access the toothpick whenever you need one. Buy Now. 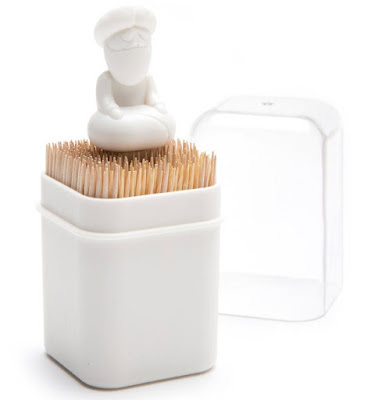 Babu Toothpick Holder: What has meditation got to do with nails or for that matter a seat or bed made of nails? Anyone? We have this small character that seems to serenely sit on the seating made of toothpicks, its sure to entertain your guests and can be a conversation starter. 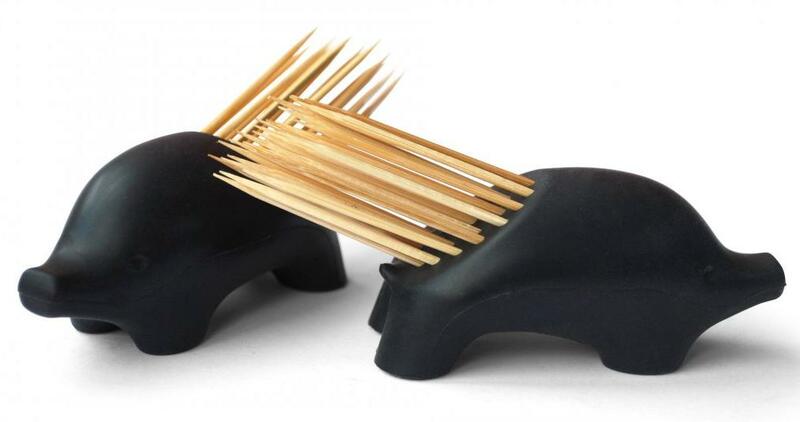 Just one other thing, the small guy isn't actually using the support of the toothpicks but instead a hidden support. Buy Now. 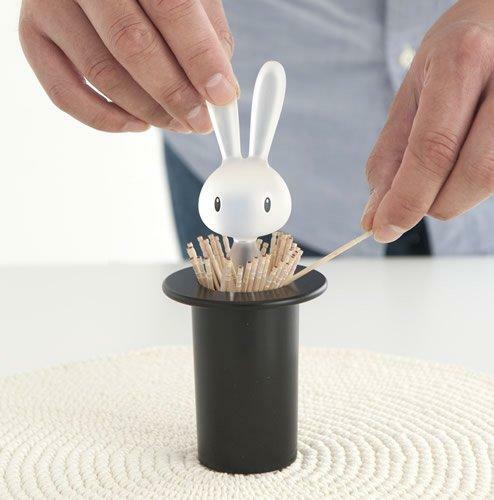 Bunny Toothpick Holder: You must have seen quite a few acts where a rabbit is pulled out of the hat, but what about when you pull out the rabbit from the hat, you get toothpicks along? Well this is what the Bunny Toothpick Holder does for you. Buy Now. 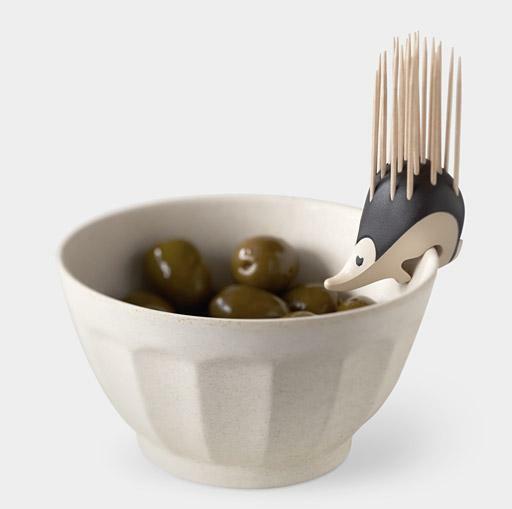 Porcupine Toothpick Holder: This cleverly designed Porcupine Toothpick Holder makes toothpicks part of its design giving its quill for which its feared. It holds up to 29 toothpicks. Buy Now. 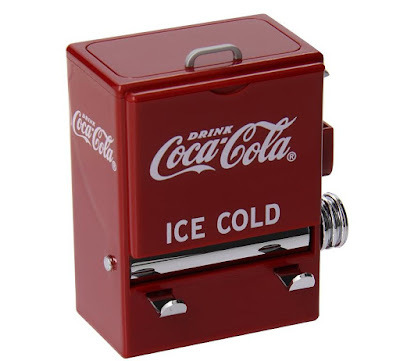 Cola Toothpick Vending Machine: This mini Cola machine holds more than 200 toothpicks for you. Buy Now. 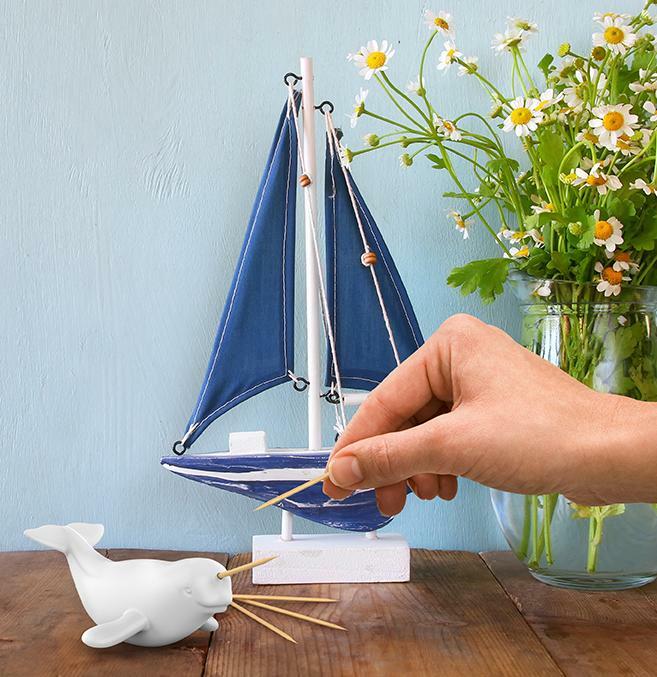 Narwhale Toothpick Holder: The Narwhale Toothpick Holder is another interesting toothpick holder that makes the toothpicks part of its design. Its made of matte-finished porcelain with a removable plug for filling and comes with 25 toothpicks. Buy Now. 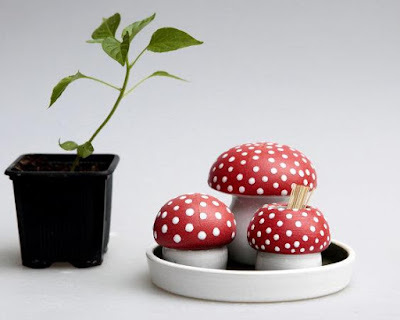 Mushroom Toothpick Holder: This cute mushroom set consists of a toothpick holder, salt and pepper shakers and a tray, perfect for your dining room to create an interesting setting. Buy Now. Cow Toothpick Holder: This cute Cow Toothpick Holder is sure to make your guests laugh when they see you press its top and a toothpick comes out from the other end. Buy Now. Rockstar Toothpick Holder: This Rockstar Toothpick Holder cleverly makes the toothpicks part of its design, and turns them into a hairdo. Buy Now. 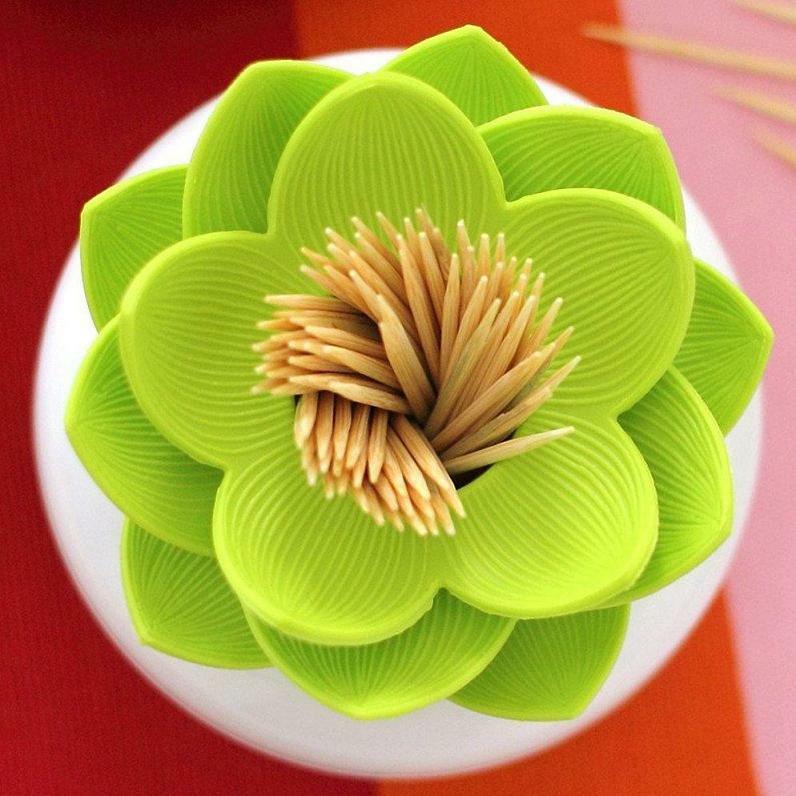 Lotus Toothpick Holder: This cool Lotus Toothpick Holder looks like a lotus flower that cleverly makes the toothpicks part of its design. Buy Now. 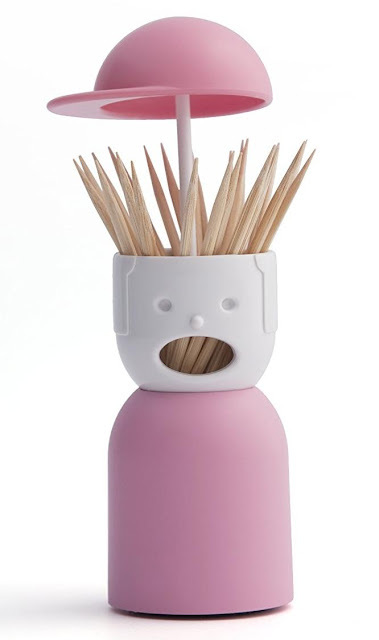 Picky Boy Toothpick Holder: The Picky Boy toothpick holder keeps your toothpicks organized, and when you need a toothpick just lift its hat and you get access to its toothpick hairdo. Buy Now. 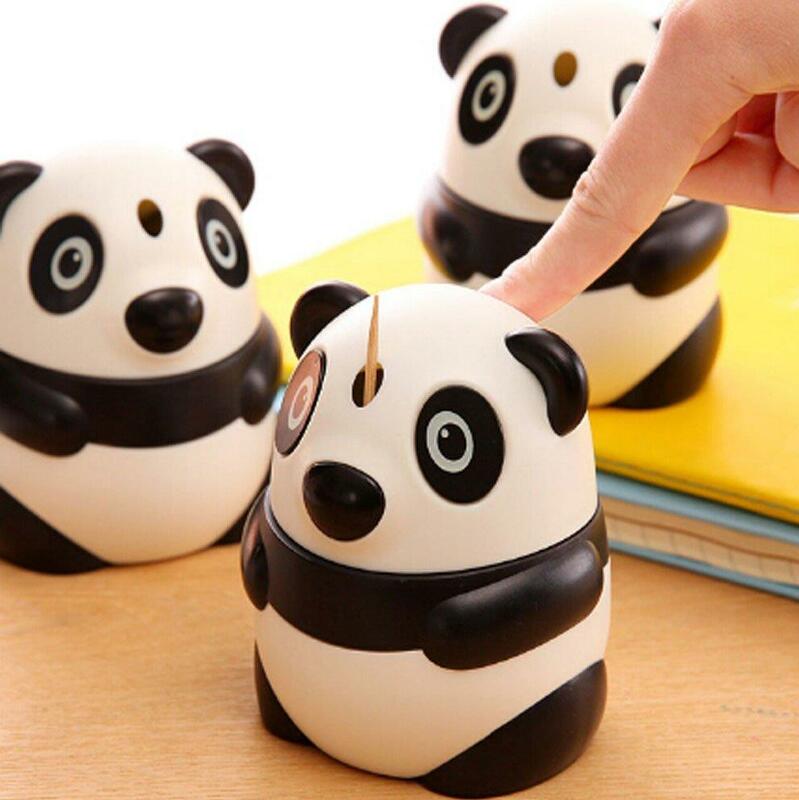 Panda Toothpick Holder: This cute Panda Toothpick Holder keeps your toothpicks clean and organized and with just the push of a button you get your toothpick. Buy Now. 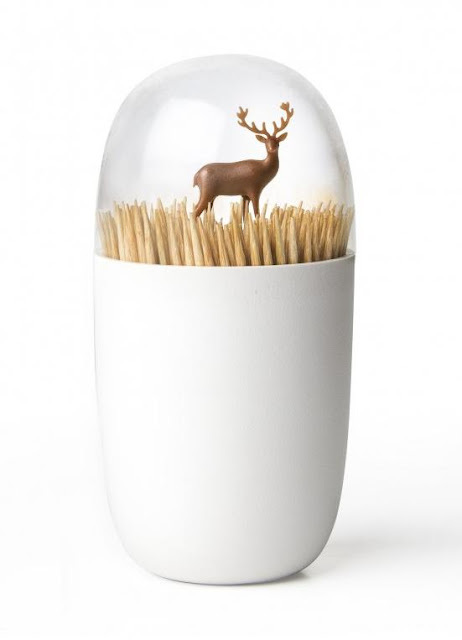 Deer Toothpick Holder: The toothpicks form the pasture for the deer that seems to float above the toothpicks. Its dome features a hole that gives you access to your toothpick; just turn it upside down to get one. Buy Now. 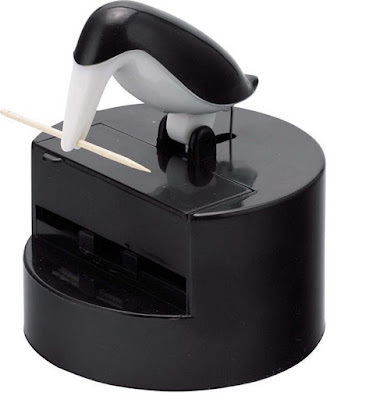 Woodpicker Toothpick Holder: This cute bird toothpick holder is eager to impress your guests, just press its head to get your toothpick, comes with 20 toothpicks. Buy Now. 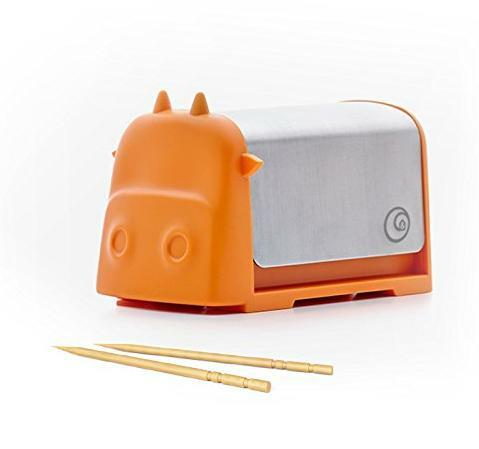 Animal Toothpick Holder: This cute Animal Toothpick Holder is here to liven up your dining table, just press its head to get a toothpick. 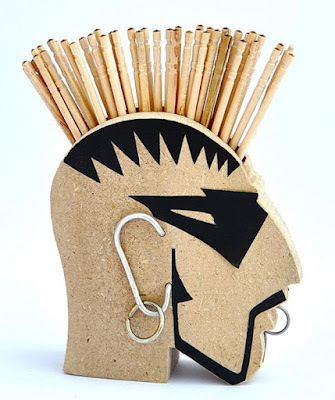 Contains up to 100 toothpicks. Buy Now. 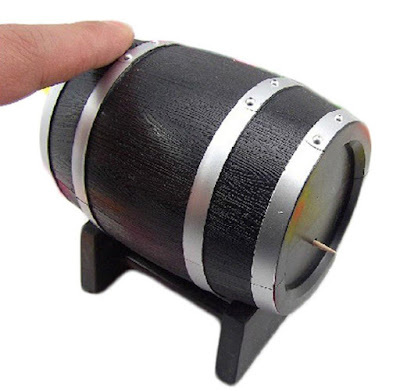 Barrel Toothpick Holder: The rustic barrel toothpick holder features a button that when pressed gives out a toothpick. Buy Now. Birdie Toothpick Holder: Generally it's the birds that are kept away from the crops to protect them, but here we have a toothpick crop that a birdie is guarding it for you. Buy Now. 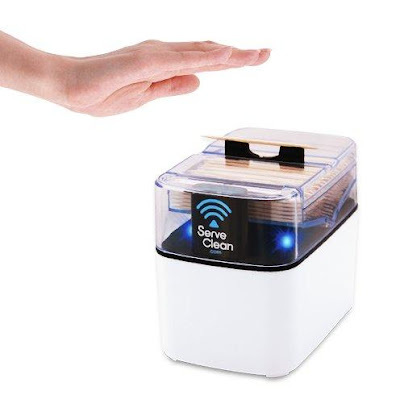 Smart Toothpick Holder: The Smart Toothpick Holder gives you a toothpick with a simple wave of your hand, it works with AC power or four double A. Buy Now. 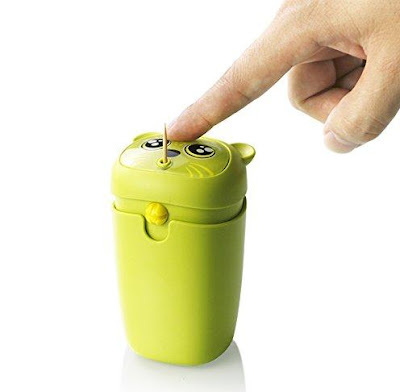 Singer Toothpick Holder: This cool toothpick holder is perfect for holding your toothpicks. Buy Now.